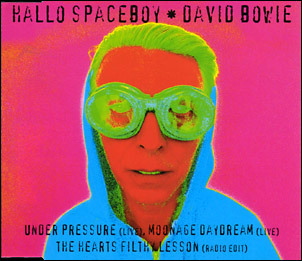 Hallo Spaceboy (Remix)/Under Pressure (live)/Moonage Daydream (live)/The Hearts Filthy Lesson. 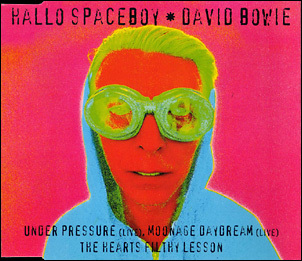 The cover of the UK edition is available in two variationswith and without Radio Edit after 'The Hearts Filthy Lesson'. 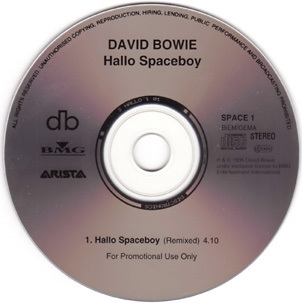 Both editions carry the same catalogue number and play the album version. 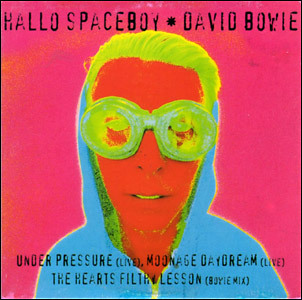 Hallo Spaceboy (Remix)/Under Pressure (live)/Moonage Daydream (live)/The Hearts Filthy Lesson (Bowie Mix). Released in the same format in Australia, Israel (both also BMG/Arista 74321 35382 2) and Mexico (Arista/BMG CDME 743213538228). 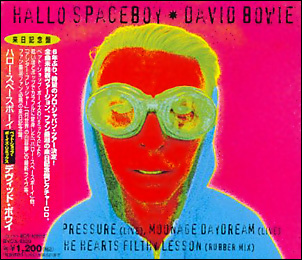 The South African edition (see below) contains the same tracks but comes in a card sleeve. 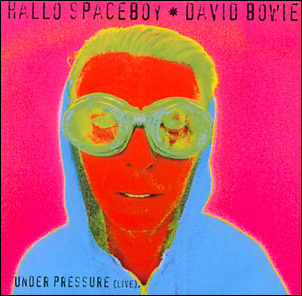 Hallo Spaceboy (Remix)/Under Pressure (live). Released in a regular jewel case. The front insert looks strange as part of the left side (below the OBI) actually is part of the back insert. 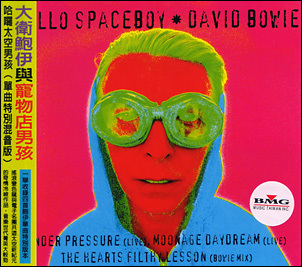 Hallo Spaceboy (Remix)/Under Pressure (live)/Moonage Daydream (live)/The Hearts Filthy Lesson (Rubber Mix). This edition is unique in featuring the Rubber Mix of 'The Hearts Filthy Lesson'.